Flooded Basement Sandy Springs Free Inpsection! Flooded basements are a common event here in the Deep South where we receive a ton of rain each year. Sandy Springs alone receives over 51 inches of rain a year which is far above the national average keeping our experts at 911 Restoration Atlanta busy with restoring flooded basements all year. With the ever present threat of a flooding emergency on the horizon you need a water damage and restoration services team on your side with the knowledge and tools to guarantee that your home does not fall victim to flood damage. We are licensed, insured and bonded and we have over 35 years of experience in flood repair and restoration services. We value professionalism and that’s why we always put the customer first. We are always available 24/7, and we will do a free inspection so you can get an idea of the scope of the job before the work starts without paying anything up front. And should you require a restoration, we offer same day service and at an affordable price. So if you have a flooded basement call our flooded basement Sandy Springs pros now and we can get started on your repairs today! Who do I Call if I Have a Flooded Basement? Information on how to prevent water damage. Maintenance of sump pumps, gutters, downspouts, and water line. Mold decontamination using advanced mold remediation techniques. Preventative measures during heavy rain, severe storms, and floods. Water removal including black water and grey water. Repair plumbing issues such as a burst pipe, burst washer, faulty water heater. Replace malfunctioning fire sprinkler system, or a broken sewage back flow valve. 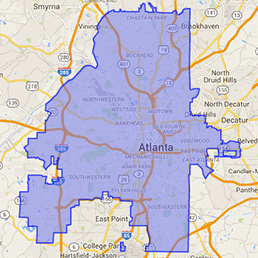 Our flooded basement Sandy Springs team is second to none in Atlanta and the surrounding area. With over 35 years of experience we can take care of all your restoration needs and at an extremely affordable price. Water damage doesn’t have to be expensive if you use the best restoration company there is; so give the professionals at 911 Restoration Atlanta a call and we can get started on your restoration job today! Is Water Damage Restoration Expensive? Water damage doesn’t have to be expensive, and if you take advantage of the amazing services our flooded basement Sandy Springs team has to offer at 911 Restoration Atlanta – it won’t be! Water damage can become a very expensive fix if it isn’t tended to immediately. That’s why it’s important to take care of any flooding or other water infiltration situation you may have immediately. Our flooded basement Sandy Springs team knows that if water is left standing for too long it can increase the expense required to clean up and repair the situation. It’s also important to ensure that your homeowner’s insurance covers a wide variety of invasive water emergencies. The flooded basement Sandy Springs experts do everything in our power to save our customers money, and that is why we are working with all insurance companies. Many insurance companies have restrictive water damage plans so it’s important to make sure that you’re receiving the coverage you need. Contact your insurance company and ask them how they define water damage. Make sure your policy works for you. Our flooded basement Sandy Springs teams wants to remove the water from your home without hurting your wallet, and that is why we offer the most affordable price for flooded basement cleanup services in the state of Georgia! Remember we offer a free inspection, and same day service to make your flooded basement emergency as painless as possible. So give us a call and we can help you with everything from a burst pipe, to answering any questions you may have such as if water damage can cause mold! Mold growth often follows a flooding emergency and that is why the flooded basement Sandy Springs experts are well trained in mold remediation techniques. Flooded houses are especially susceptible to mold growth so it is important that you contact a 911 Restoration water removal specialist at the first sign of flood damage. Invasive water can permeate deep into your home’s internal structure which can lead to a massive mold infestation. Mold spores, fungus and general infestation can create a toxic environment for you and your family. Mold spores and fungus can even cause health problems such as congestion and respiratory problems if not taken care of immediately. Our flooded basement Sandy Springs cleanup and repair teams are experts in water extractions and they will do whatever it takes to ensure that your home is free of mold. Don’t risk future mold growth by attempting self-cleanup, give us a call and we will bring our pro tools to your home to guarantee that your house will remaining a safe and mold free living environment. Check out some of our satisfied customers who have written testimonials on our website praising our restoration services. So give us a call now and discover how 911 Restoration Atlanta can help you get your home back to tip top shape in no time!